It’s time for a confession: I never remember to earn miles for hotel stays. As SmarterTravel.com’s Frequent Flyer editor, I know the benefits of earning points or miles for hotel stays. I’m enrolled in every hotel loyalty program in America. And yet, when I go to check in, I completely forget to give my member number. If this sounds all too familiar, then you and I both need a refresher on earning airline miles with hotel partners. What follows is a how-to guide and a few quick tips about getting freebies from your accommodations. Every major U.S. airline and many of the smaller ones partner with hotel programs. A stay as short as one night will earn you miles. And when you add earnings from both flights and hotel stays to your account, you can reach award levels faster than ever. 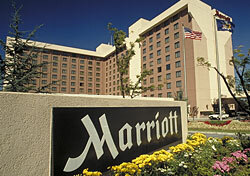 Many hotel partners belong to one of the big hotel loyalty programs. Some smaller or non-chain properties have individual agreements with airlines. If you’re like me and can’t remember which hotel belongs to which program, here’s the overview. For some of the major hotel brands, you have to join the hotel’s loyalty program in order to earn airline miles. Registration is free and can be done online. You’ll just need to indicate that you wish to earn miles and provide your airline member number. When you check into your hotel, give the receptionist your hotel loyalty program card or number and the miles will automatically be credited to your account. With other hotels, you can just supply your frequent flyer information when you check in. The number of miles you’ll earn for a hotel stay varies by brand. You can earn one to three miles per dollar spent on hotel charges, or 100 to 1,000 miles per stay. Hotel stays aren’t a quick way to earn miles, but the extra miles come in handy when you’re stretching to reach the next award level. Most hotels will not let you earn both hotel points and airline miles for the same stay. The exception is Hilton, whose Double Dip program allows you to choose just points or a combination of points and miles as your reward. With other programs, you can select points or miles on a stay-by-stay basis. If you decide to earn hotel points with one of the major hotel loyalty programs, you can usually transfer those points into miles at a later date. Remembering to ask for miles credit is only the first step in effectively using hotel partners. Here are some quick tips for getting the most out of your hotel stays. Can’t remember which hotel is in which loyalty program? Make a list of your member numbers and the affiliated hotels. Whenever you make a hotel reservation, you’ll have a handy reference tool to remind you to sign up for miles. Only one person per reservation can earn miles for a hotel stay. If you’re sharing a room with a miles-collecting friend or family member, offer to make the booking or charge the room to your credit card. That way, the miles will go to you. Even if you’re a single-minded miles earner, you might want to choose hotel points for your stay. When you accrue enough points, you’ll be able to earn free hotel stays or transfer your points into miles with a variety of airlines. This strategy gives you more options than earning miles right off the bat. You can also get more miles from your stay if you choose to earn points and then transfer them into miles. For instance, you can earn 10 points per dollar spent at most Choice hotels, or you can earn 250 miles per stay. However, you can redeem 5,000 points for 1,000 miles, a ratio of 5:1. If each hotel bill is over $125 and you stay enough times to earn 5,000 points, you’ll end up with more miles from converting points than earning miles up front. You can’t make this formula work with every hotel brand, so do the math before you choose your earning style. In addition, Starwood and Hyatt give 5,000-mile bonuses when you transfer large numbers of hotel points into miles. If you can rack up the points in these programs, you can get a windfall of miles. A hotel-affiliated credit card can be a great asset to the miles collector, as well. The cards often have lower annual fees than airline cards, and you have the flexibility of choosing which airline to transfer your points into. Plus, as mentioned above, if you can accrue enough points, you’ll often get a big mileage bonus when you exchange points for miles.